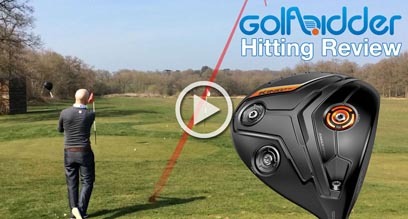 Watch 100s of our product previews, hitting reviews, and head-to-head comparison videos to make sure you get the right golf club for your game. 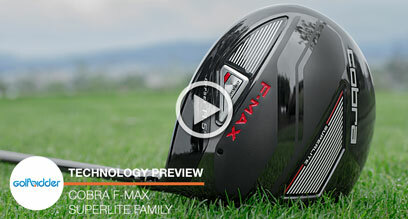 Lynx Golf is certainly trying to move the needle where the research and development of golf clubs is concerned. 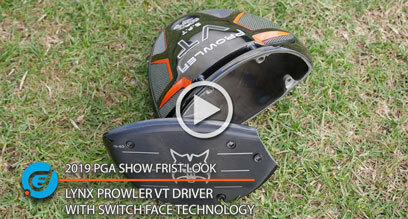 And at the 2019 PGA Show in Orlando, they took a huge step forward as they unveiled their Prowler VT driver with Switch Face Technology. 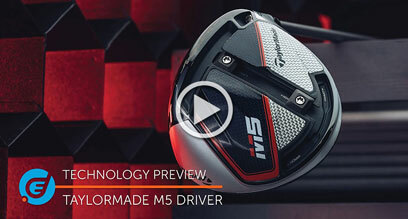 The M5 is the adjustable fairway wood offering from TaylorMade for 2019. 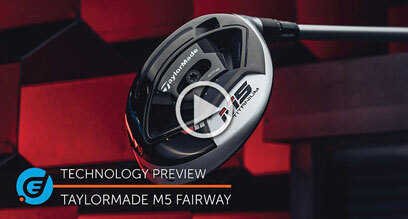 Succeeding the M3, it could have been safe and samey but we're delighted to report the M5 is anything but! 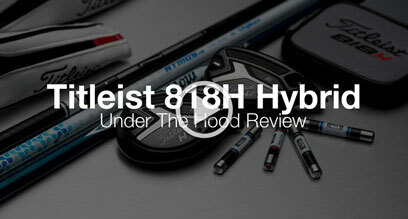 It's novel, fresh, and very clever. 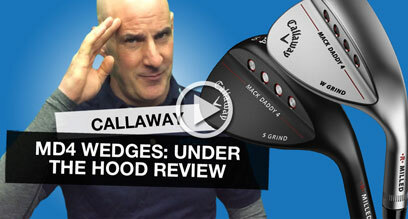 If you're looking for a company almost completely dedicated to striving for excellence in wedges, look no further than Cleveland. 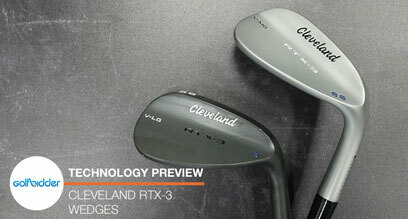 The third generation RTX-3 replaces the Cleveland 588 RTX 2.0 wedge and while it might look similar in head size there's quite a bit more going on. 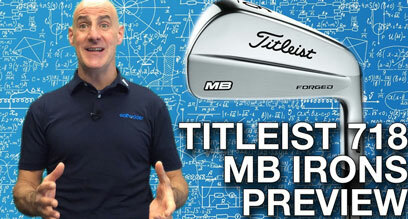 Simply put, the Ping iBlade irons have to one of the cleanest looking models in the better player market - but it's hiding a secret. 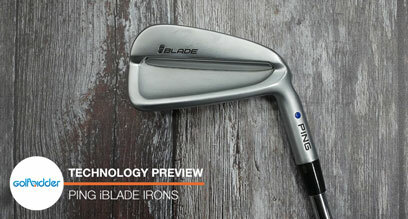 At first glance the iBlade looks like the iron set belonging to the Ping Glide wedge - there is real beauty in the styling of the iBlade. 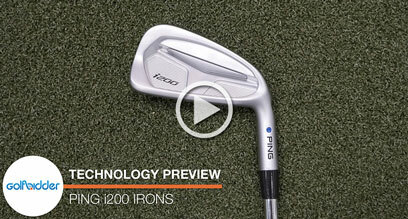 The Ping i200 iron follows on from the Ping i iron and while it looks from above like a clean and classy set of irons there's lots of distance and forgiveness in its cast steel head. 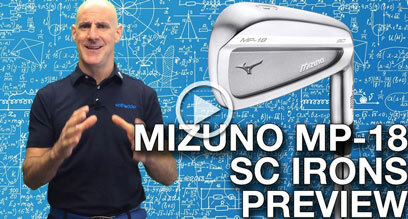 When it comes to forging top quality irons, not many do it better than Mizuno. 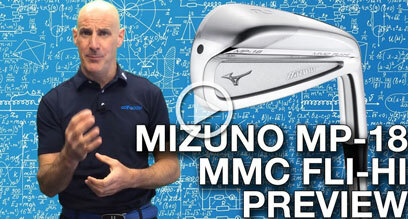 And when it comes to forging ahead of the competition in the iron market, again, not many do it better than Mizuno. 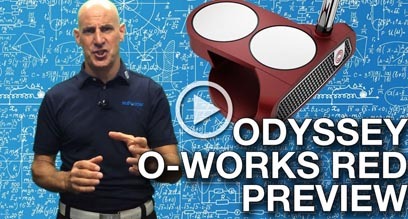 The object in snooker is to pot the red ball using the white ball, Callaway has turned this on its head with their Odyssey Red Ball putter which helps you put the white ball in the hole with a red ball! 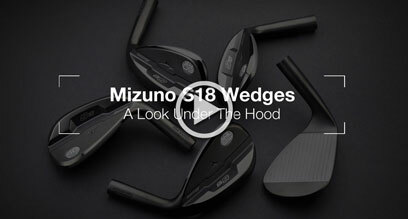 As with everything Mizuno, their S18 wedge oozes quality and is packed with the very latest technology – a story which usually goes unreported in wedges. 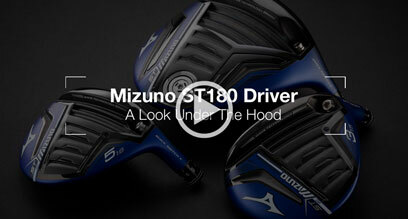 The ST180 fairway from Mizuno is a simple, designed for distance brother of the highly adjustable GT180 fairway. 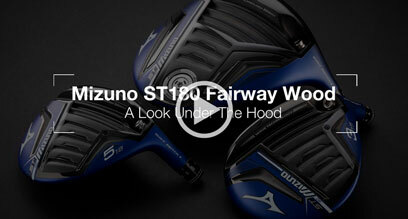 Looking down on the ST180 fairway you see the now iconic Mizuno matte blue crown sitting behind a 1770 Maraging Steel face. 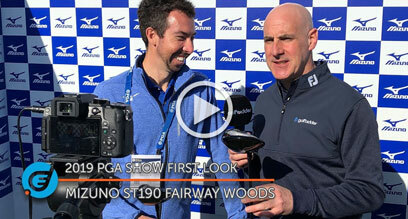 Mizuno's "Gravity Tech" fairway for 2018, or GT180, compliments the GT180 driver. 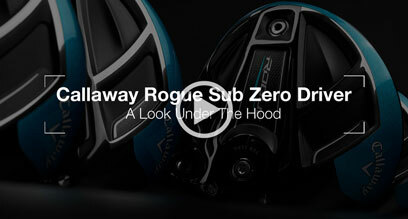 Its simple stand out blue crown beautifully hides the fact that it is crammed with adjustability. 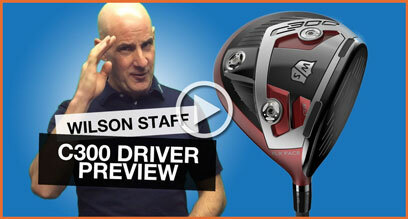 If the Mizuno GT180 Driver fried your brain with the complexity of its adjustability the stripped-down simplicity of this ST180 is much easier to digest. 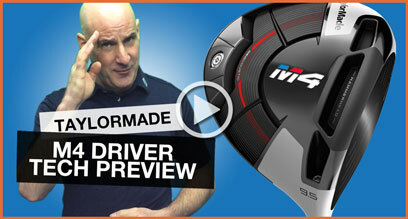 It’s a simple, classy, low spinning driver that better players and faster swingers will love. 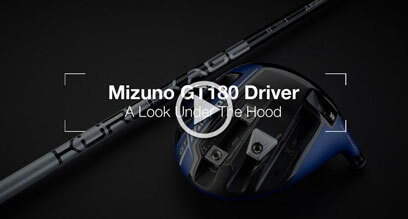 If you love to spend hours on the range tuning your driver to best suit your game then the Mizuno GT180 driver is the driver for you. 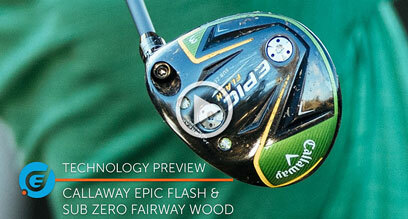 It features a three channel Fast Track system and Quick Switch hosel – making it the tinkers dream. 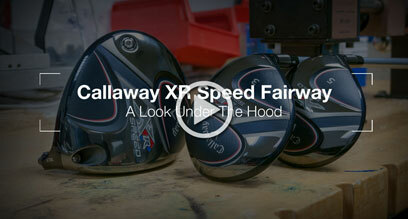 The new Callaway XR Speed fairway sits alongside its XR Speed driver in a bid to bring high quality and high-tech golf clubs to retail at a lower price point. 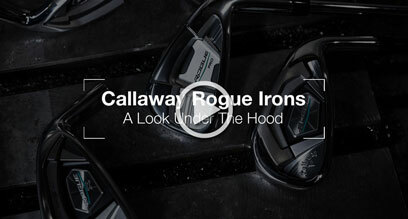 If you’re looking for some added distance from your irons then look no further than the Rogue X from Callaway. 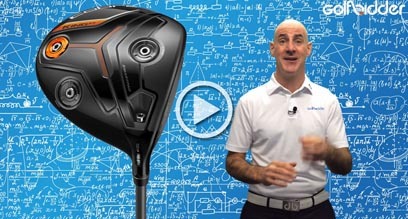 When we first got our hands on the Rogue X Irons we had to check for a fuel cap – they’re that powerful! 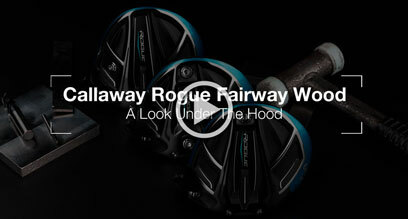 The Rogue Irons may not have the fanfare of the Jailbreak technology what they do share with the new Driver, Fairway, and Hybrid is the desire to be among the longest hitting golf clubs Callaway has ever produced. 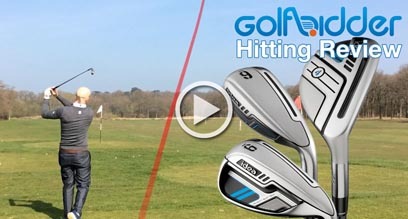 In recent years hybrids have seen a slight drop in popularity with stiff competition from increasingly easy to hit driving irons. 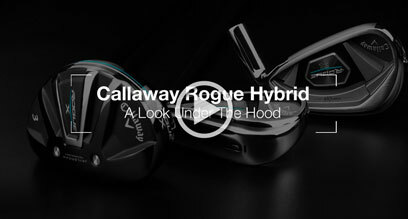 Something big needed to happen to win the public back and get them playing hybrids again - and the Callaway Rogue hybrid might be the answer. The Callaway Rogue Sub Zero Fairway is a low spinning version of the standard Rogue fairway and features (for the first time in a fairway wood) Callaway’s Jailbreak technology. For the first time Callaway has been able to engineer Jailbreak technology into a fairway wood. 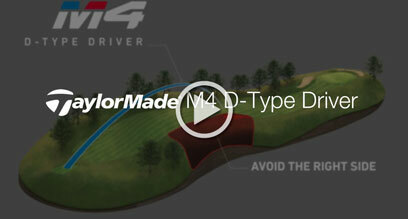 The importance of this move cannot be understated. 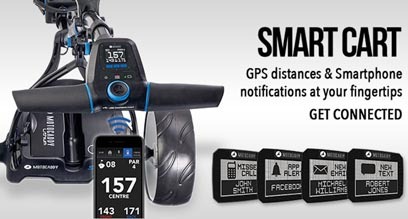 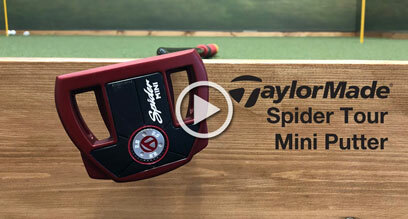 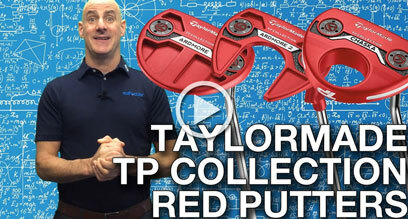 This is great news for all golfers. 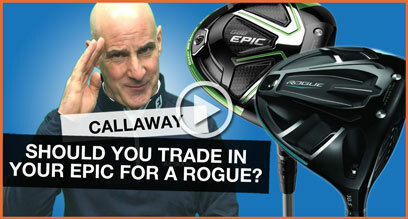 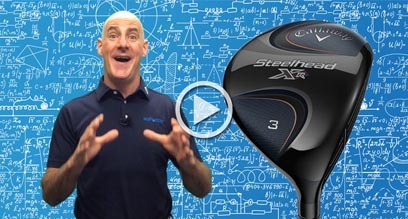 Should You Trade In Your Callaway EPIC Driver For A Rogue? 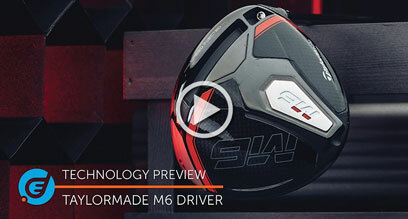 Callaway have pitched their new Rogue drivers as an updated, and even more forgiving alternative to the still popular Great Big Bertha EPIC. 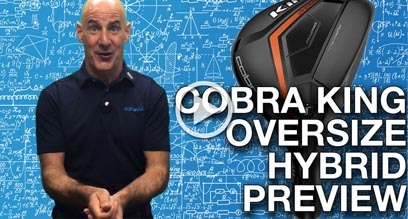 But is it? 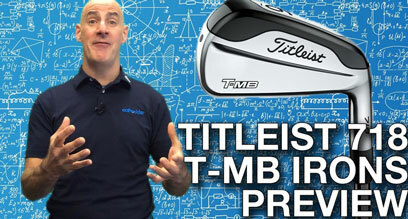 And more importantly, should you upgrade? 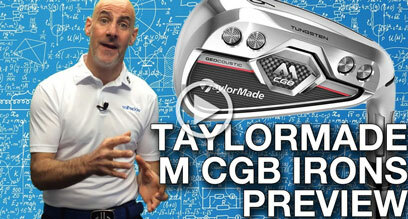 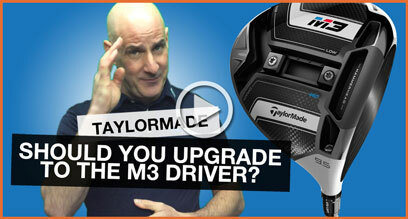 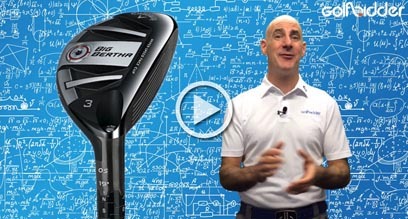 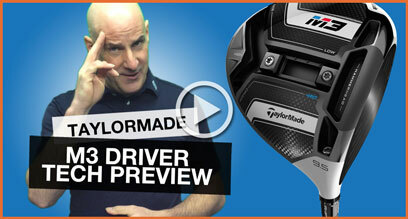 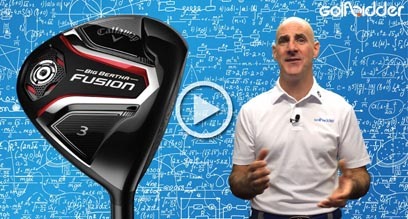 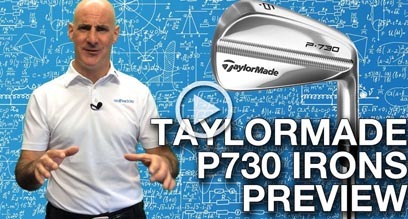 Should You Upgrade To The New TaylorMade M3 Driver? 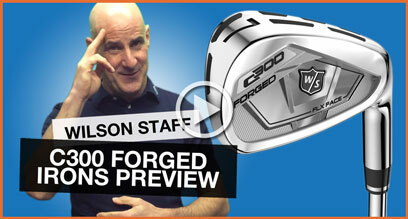 The new Wilson C300 are an evolution of the C200 which first introduced us to Power Holes. In the D300, there’s just a lot more. 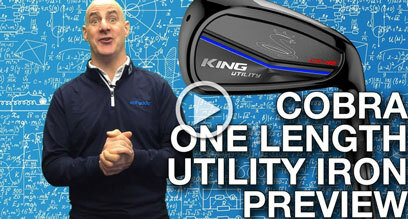 A grand total of 10 Power Holes, including a double row on the sole. 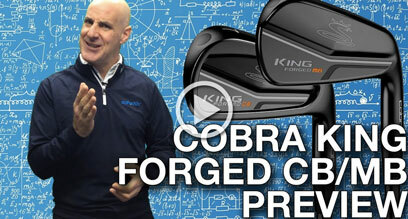 When it comes to innovation in golf clubs few can match the research and development team within Cobra. 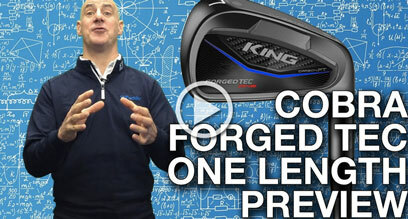 The new KING Forged Tec One irons feature a combination of new technologies aimed at the 10 handicaps and below market. 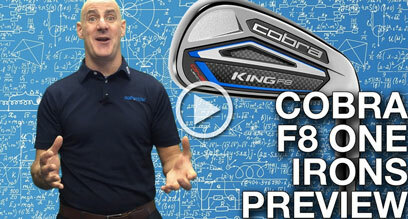 Cobra’s product line up in recent years has been full of clubs that are packed to the brim with the latest and greatest technology. 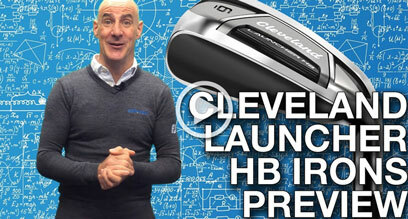 However, with their new KING Forged CB and MB irons they’ve stripped back all the bells and whistles leaving a pure, players’ iron. 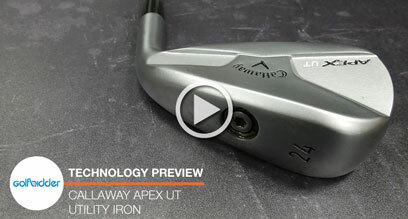 Like the Olympic Games, Callaway Apex MB irons come around every four years and are worth waiting for! 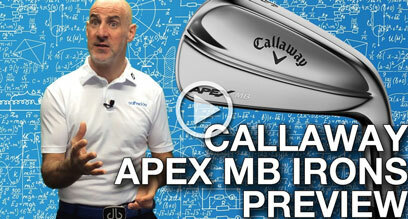 The Callaway Apex MB irons are an evolution of a classic and are designed for the golfing purist, the centre striker, or the elite player. 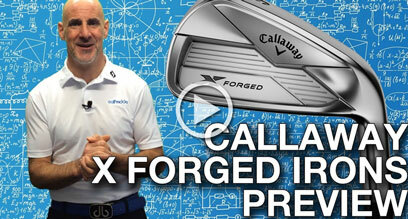 After five years the X-Forged iron from Callaway is back! 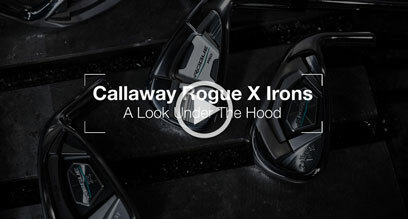 Previous releases in 2008, 2009, and 2013 were extremely popular with some players still using the latter on Tour the new X Forged iron is an evolution of a classic – with some revolutionary technology. 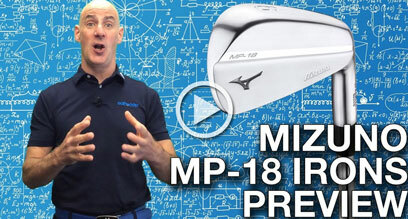 When Mizuno bring anything new to market you know it’s going to be of the highest quality – and the MP-18 irons are not an exception. 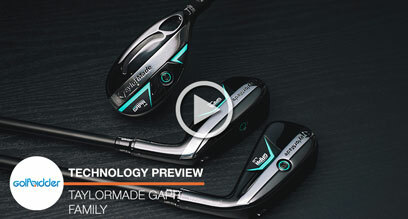 The new MP-18 is a gentle remodelling of the same clean, forged muscle back blade which has changed little in a generation. 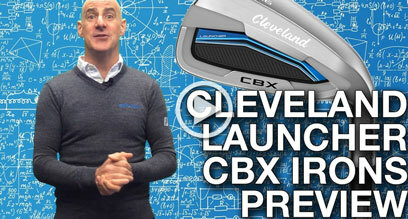 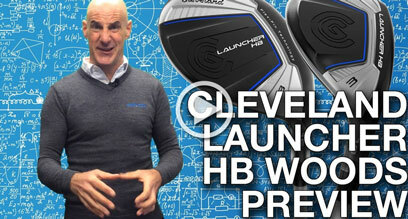 The new Cleveland Launcher HB irons are a hybrid iron set but do their best to present a pure iron look at address. 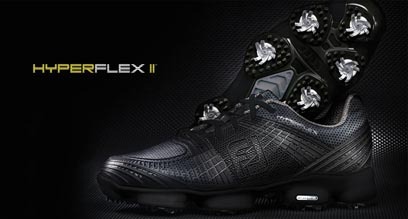 The chrome top line stands out and with the blacked-out, contrast hybrid backing they do a great job in achieving this. 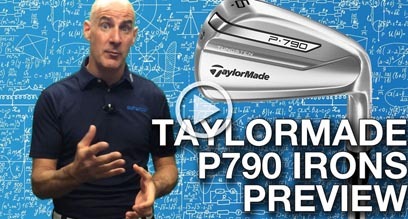 The new TaylorMade P790 iron (released alongside the P730) gives TaylorMade four irons in the P for Players family, all distinguish by blade length. 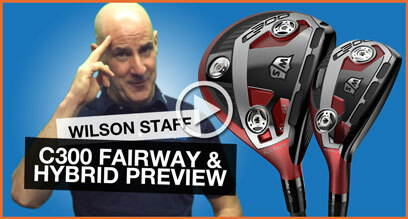 Srixon are making a play for a dominant share of the European hardware market with a full range for all types of golfer. 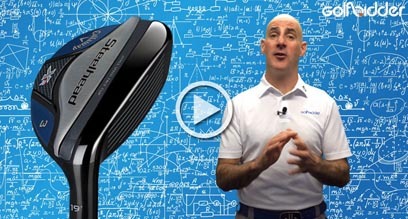 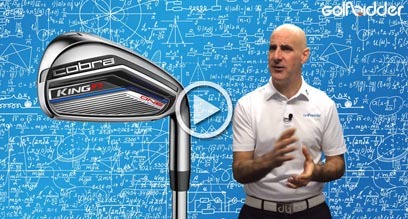 So where do the Z355 irons fit and who are they for? 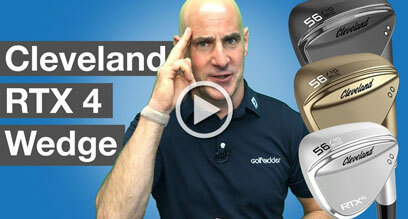 Srixon are making a play for a dominant share of the European hardware market with a full range for all types of golfer. 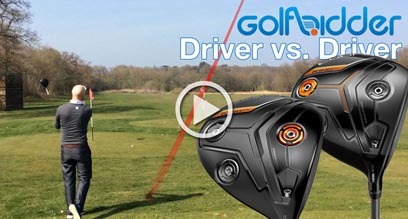 So where so the Z355 driver fit and who is it for? 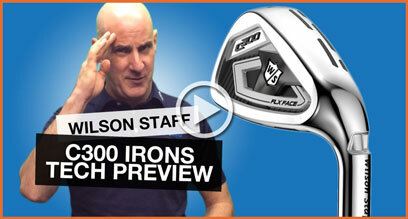 Srixon are making a play for a dominant share of the European hardware market with a full range for all types of golfer. 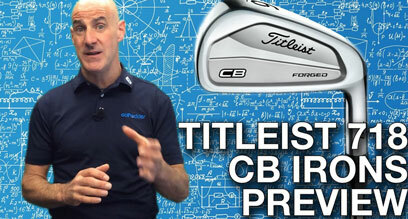 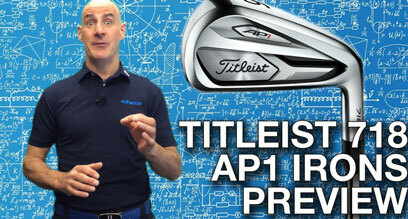 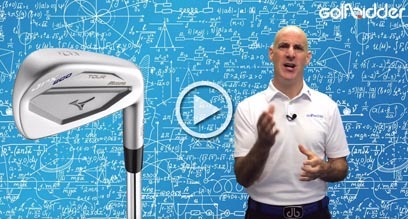 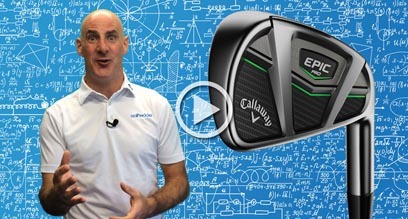 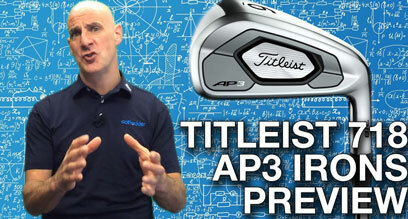 So where so the Z155 irons fit and who are they for? 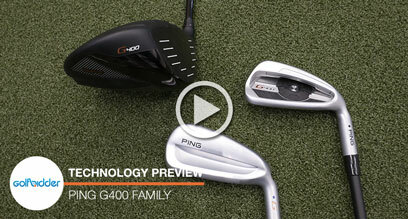 On the surface, with their matte chrome finish the iBlade and i200 irons from Ping are two of the most aesthetic on the market. 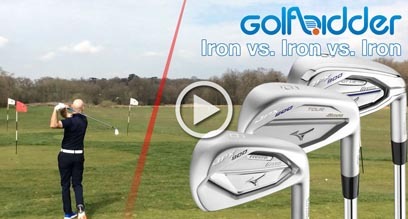 But which one should make its way into your bag? 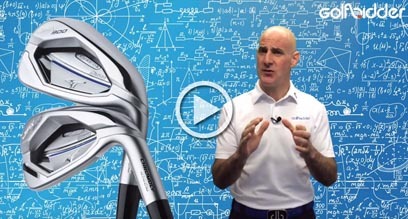 The JPX900 family of irons continues the JPX story of game improvement and easy to hit but in an offering, that will appeal to the better players through the Forged and Tour models. 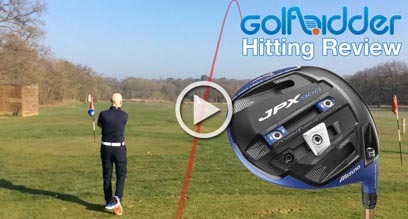 The Mizuno JPX900 driver is a dream come true for anyone who like to play around with the setting available. 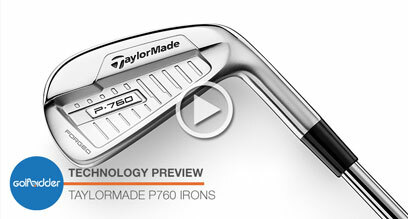 In total, there are four parallel rails, two moveable 8-gram weights and an aluminium sole plate. 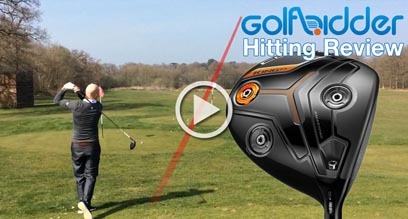 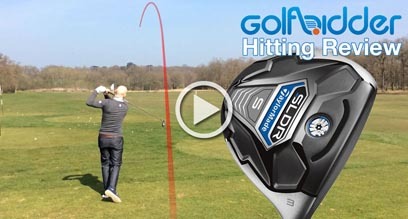 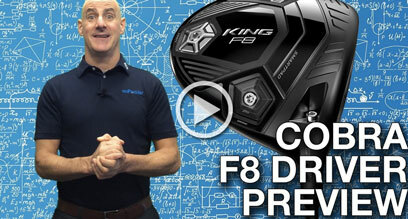 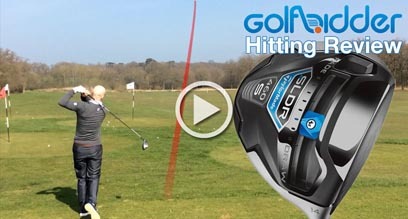 If help you to decide which Cobra KING F7 driver is right for you (standard or plus) The Doc put them to the test side-by-side. 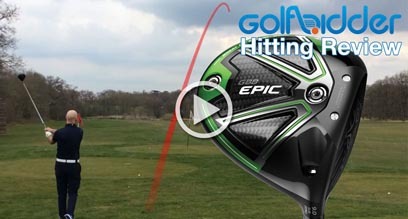 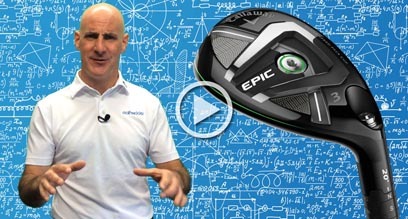 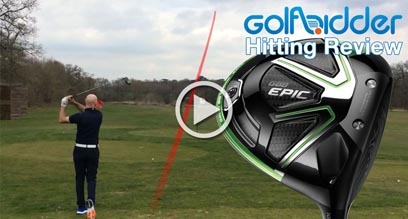 The Doc was delighted to finally get his hands on the new EPIC driver, with its Jailbreak technology, and put it through its paces on the range. 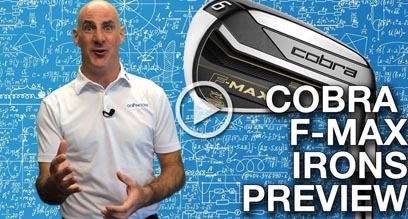 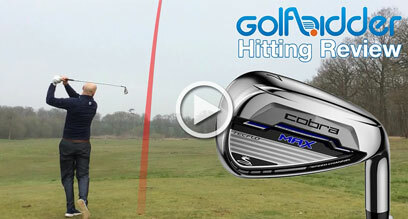 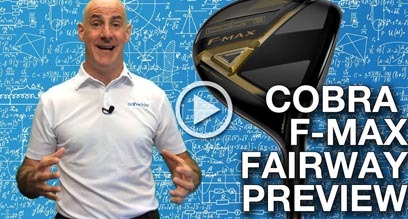 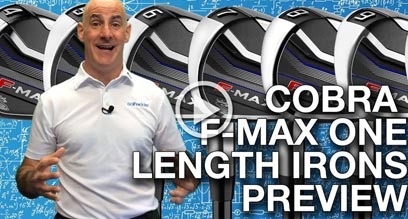 The Cobra F Max irons feature the best of Super Game Improvement technology but on a diet, making these clubs super lightweight as well as super easy to hit! 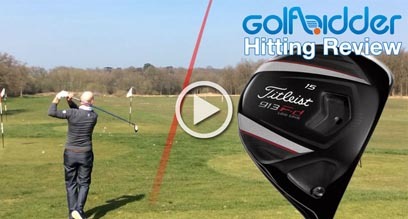 The Titleist 913Fd is a low spinning fairway wood with a larger head and deeper face than its little brother – the 913F fairway wood. 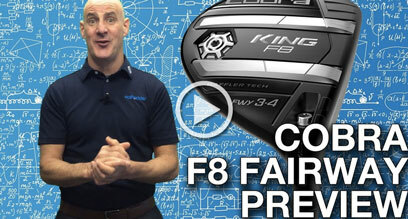 The 180cc Fd head is 31cc bigger than the standard version, allowing a profile that encourages more use off the tee. 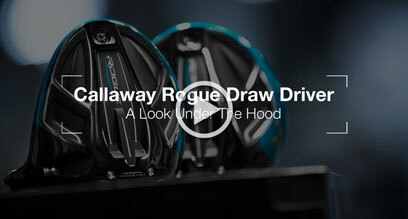 Here we go. 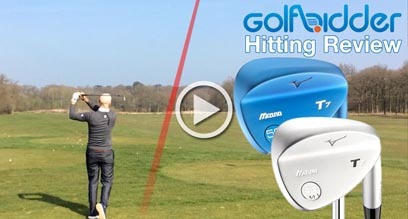 It’s time to put the Mizuno JPX850 and Mizuno JPX900 drivers side-by-side on the range and see how they compare. 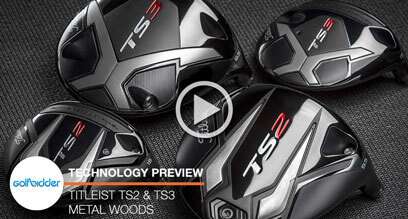 But first let’s recap the technology they share, and the differences. 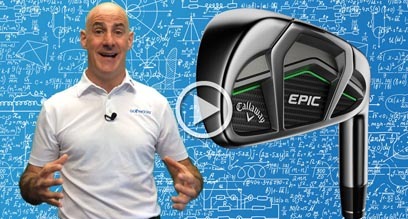 The Doc was delighted to finally get his hands on the Callaway Big Bertha Epic Sub Zero. 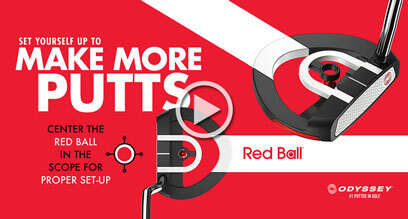 It's time to stop the talking and see how it performed in the real world. 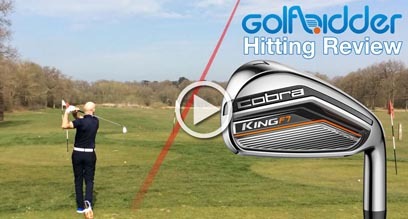 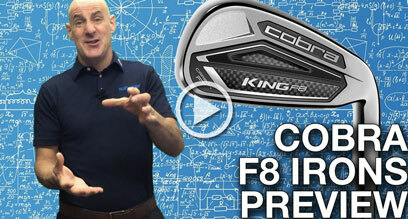 The Doc was delighted to finally get his hands on the Cobra KING F7 driver. 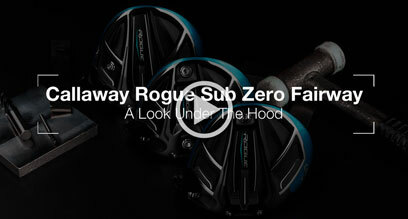 It's time to stop the talking and see how it performed in the real world. 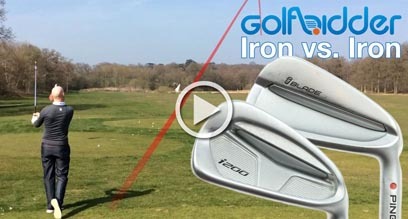 The Doc was excited to get his hands on this amazing game improvement set from Adams, the idea irons from 2014. 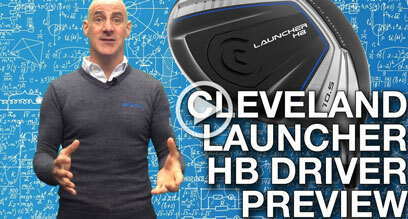 High launch with low spin is the Holy Grail in driver design and TaylorMade made a huge step towards this when the spin killing SLDR and SLDR S drivers came out, along with the tag line 'Loft Up'. 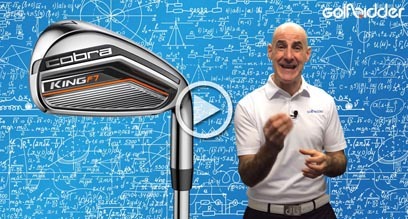 As club design evolves and hybrids, in particular, begin to vary in size and shape more and more, there is a growing pocket of golfers who are simply after a long iron with a bit more forgiveness. 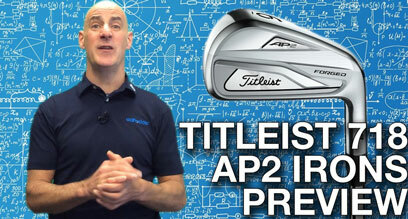 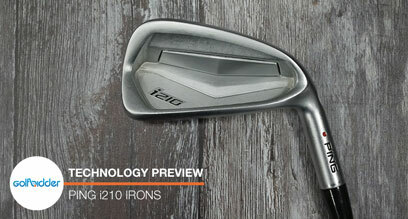 Enter the 712U driving iron from Titleist. 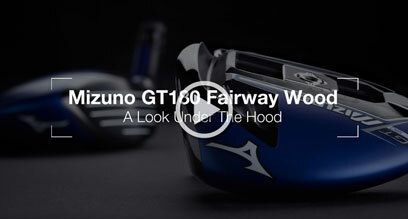 Mizuno is known for its forging process and making incredible irons. 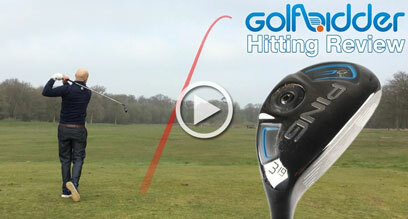 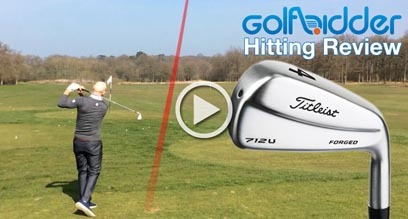 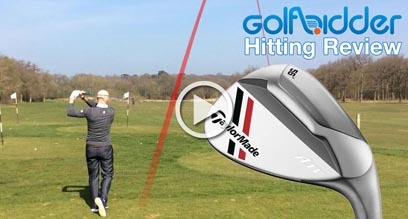 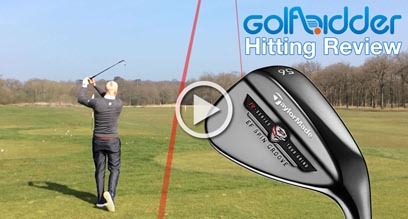 However, it’s easy to forget that these practises can also be applied to make some of the best wedges around too. 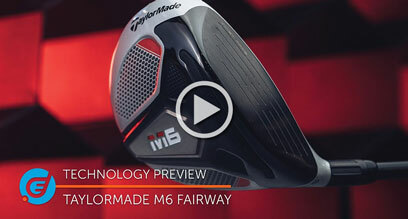 And this is what they’ve done with the MP-T7. 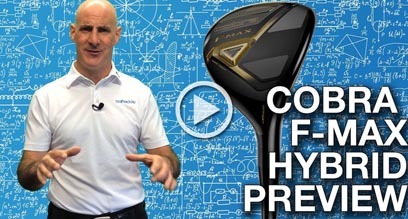 It's fair to say the EPIC Driver with its Jailbreak technology was a massive success for Callaway and now comes the EPIC hybrid to join the party. 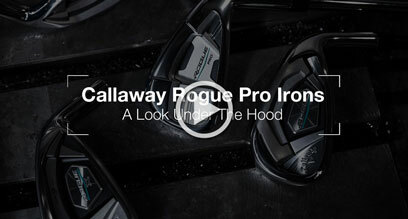 Callaway broke out of jail and passed Go with their Epic Driver and are now aiming for a complete Monopoly with the EPIC Pro irons. 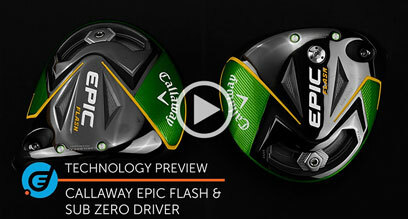 Callaway broke out of jail and passed Go with their Epic Driver and are now aiming for a complete Monopoly with the EPIC irons. 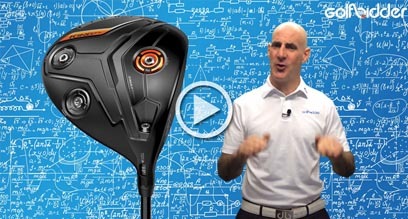 The Yonex EZONE XPG fairway wood features a carbon fibre crown to lower the CG location to dial up the forgiveness. 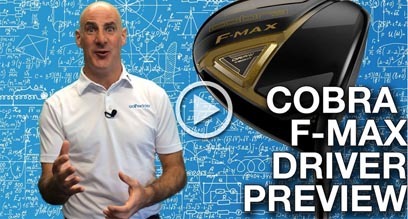 To further aide this is a counter balance weight in the sole as well as in the top of the grip – while also adding club speed and power. 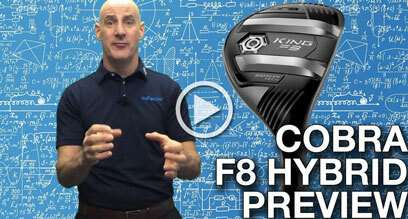 Key to the Ping G Series hybrid is the head design. 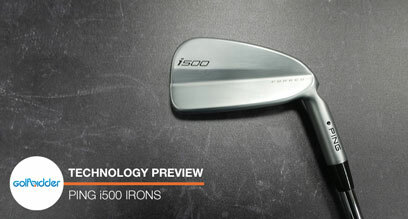 Constructed of Carpenter 455 steel (designed to be thinner yet stronger) allows the face to feature variable thickness technology for more balls speed across the whole surface than its competitors. 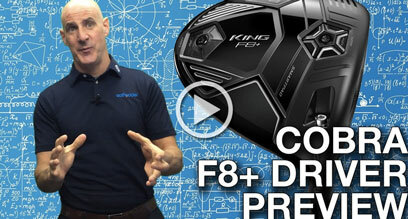 The Cobra KING F7+ driver is a leaner, meaner version of the Cobra KING F7 driver that is designed for the better player and faster swing speeds. 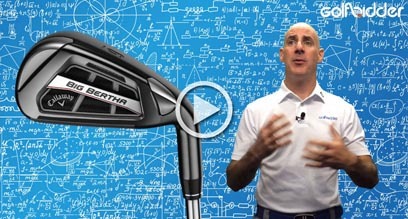 Callaway’s Big Bertha OS irons belong in the super game improvement category would have been almost impossible to produce commercially a few years ago due to the technology and construction that goes into them. 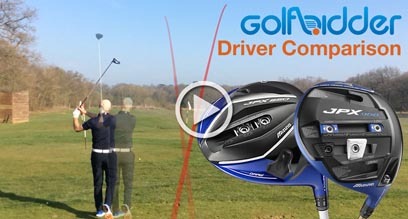 The main body of the club is the secret to its success. 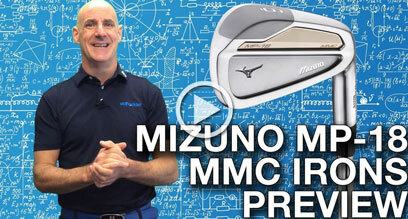 If you ask any fan of Mizuno irons about their better player lines they'll point you straight to the MP range of forged blades. 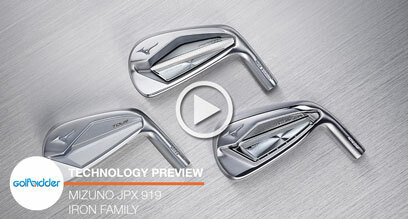 But now, there's a JPX (Mizuno's game improvement range) carrying that 'Tour' logo.